18th November 2016 — We recently had a district meeting and agreed several dates for events such as the New Year Hike and next year's district camp. Check for events page for details and get the dates in your diary. 20th October 2016 — We're well in to this term's group nights and going strong! Several camps and events have gone by, but we have more coming up, including the London region Venturer/DF midnight ice skate at Alexandra Palace on Saturday 26th November. See our events page for more! 3rd May 2016 — Our Barn Dance is coming up! It's this Saturday 7th May. See the (now public) Facebook event page or find out more on our events page! 15th April 2016 — Welcome to our new website! We have some exciting events coming up including a Barn dance on May 7th, Summer District camp (details coming soon), Venturer Camp 2016 and London Venturer Activity Camp 2016 (Stubbers) - see our Events page for more information! Take a look around the website, and if you have any changes or updates let Ashley know via ashlaaays@gmail.com! 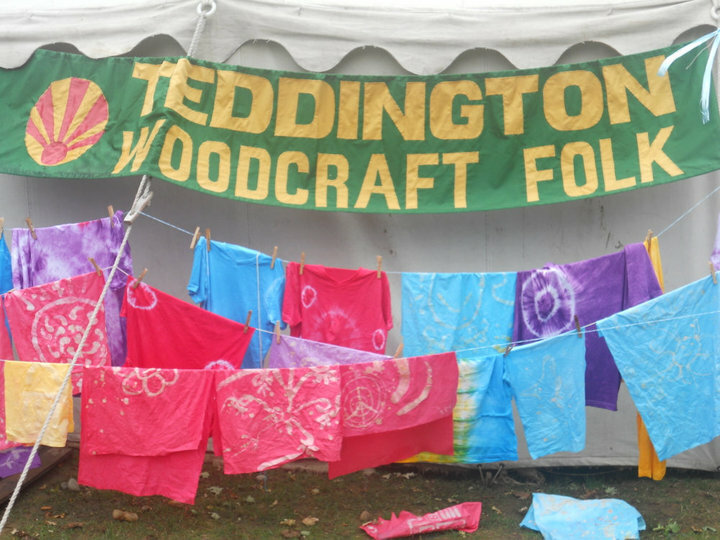 The Teddington district has been running since the 70s, and we currently run group nights on Thursdays for Elfins (6-9yrs), Pioneers (10-12yrs) 7:15pm-8:45pm, and Venturers (13-15yrs) 7:30-9pm, locally in Teddington. We also run events for all ages such as camps, activity weekends, social events and more! See our Events page or find out more about us.